I am often dumbfounded when I stop to consider the difference in my own middle and high school education as compared to what's taught these 35-40 years later. I can remember studying and memorizing Lincoln's Gettysburg address. I loved the long and exhaustive studies of Alfred, Lord Tennyson's Idylls of the King -- the epic twelve poems that retold the tales of the legendary King Arthur, his knights, his love for Guinevere and her tragic betrayal of him, and the rise and fall of Arthur's kingdom. But the terms of my education were nothing compared to the studies during the generation of our Founding Fathers. As the website, Memoria Press, recounts ... Thomas Jefferson received early training in Latin, Greek, and French from Reverend William Douglas, a Scottish clergyman. At the age of fourteen, Jefferson’s father died, and, at the express wish of his father, he continued his education with the Reverend James Maury, who ran a classical academy. 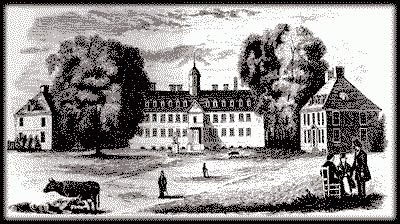 After leaving Douglas’ academy, Jefferson attended the College of William and Mary, where his classical education continued along with his study of law. When James Madison applied at the College of New Jersey (now Princeton), he was expected to be able to “write Latin prose, translate Virgil, Cicero, and the Greek gospels and [to have] a commensurate knowledge of Latin and Greek grammar.” Even before he entered, however, he had already read Virgil, Horace, Justinian, Nepos, Caesar, Tacitus, Lucretius, Eutropius, Phaedrus, Herodotus, Thucydides, and Plato. So, what exactly is a "classical education"? Historically, it was a course of study that was to develop exemplary citizens equipped with analytical thinking skills, virtuous character, and a passion for learning, all built upon a solid foundation of knowledge. Sadly, these characteristics are disappearing from our modern educational system; especially as our kids are being threatened with the Common Core curriculum. Consider this op-ed in The New York Times by philosopher Justin McBrayer. He states that he already knew that many of his college-age students did not believe in moral facts. He says, "Philosophy professors with whom I have spoken suggest that the overwhelming majority of college freshman in their classrooms view moral claims as mere opinions that are not true or are true only relative to a culture"; the culture of Christianity, for instance. Subsequently, this has led to an abiding belief in moral relativism, which is a philosophy that asserts there is no global, absolute moral law that applies to all people, for all time, and in all places. Father: “So it’s both a fact and an opinion?” The blank look on his son's face told the story. Do you see where he is going with this? Can you see how the effort to separate a belief from a fact, could affect morality? Every thought (or belief) that has some kind of value attached to it, could only be an opinion, never a fact. • Copying homework assignments is wrong. • Cursing in school is inappropriate behavior. • All men are created equal. • It is wrong for people under 21 to drink alcohol. • Drug dealers belong in prison. The answers? Each one of these was labeled an opinion. Since none of these could be tested or proven, then they must be subject to opinion only, and there is no truth in any of them. Do you see the danger in this? Ultimately, this is teaching our kids that anything that can be labeled good, bad, wrong, or right is not a fact. Think how this mode of thinking affects our society. 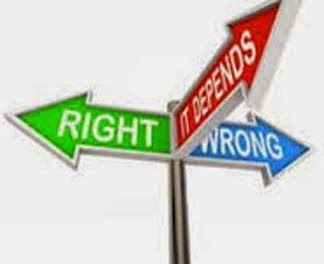 When there is no consistency between what people decide is good or moral -- that it is all subject to one person's opinion versus another -- how do we ever raise children into moral citizens with critical analyzing skills and virtuous character? If there is no moral standard that can be declared a fact for all, then anything goes, and there is no acceptable code of honor or behavior among a community. Not only does the quality of living in that community subside, but chaos and confusion are the natural result. Just take a moment and consider that our Founding Fathers were fluent in Latin and Greek, could translate Books of the Bible, and were capable of defending themselves in a spirited debate. Now realize that our public school systems are on the brink of failing our children. They can hardly spell; their reading skills are poor; they can't divide or subtract without a computer; and they are lacking important critical thinking skills. You might think that this is a different time, and the education that our Founding Fathers undertook does not relate to these times. But it was the education they received that reinforced the knowledge, the skills, and the courage they would need to create this great nation. Are we giving our kids the education to carry on their moral values and traditions, and preserve the country? Poor performance of public school students is not exactly new. I began teaching college in 1971, and found that there were many students who could not complete simple math problems without a calculator.